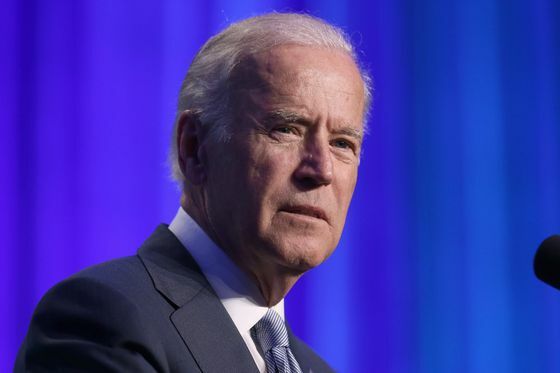 Last week Joe Biden confirmed that he's considering a presidential run in a private Democratic National Committee conference call that wound up on CNN. On Thursday he made his first intentionally public remarks on entering the 2016 race while discussing the Iran nuclear agreement at an Atlanta synagogue. When asked about his possible candidacy, the vice president said, "I have to be honest to you, and everyone who comes to me, that I can't look you straight in the eye and say, 'Now I can do it.'" Biden said his family is still reeling from the loss of his 46-year-old son Beau to brain cancer in May. "The most relevant factor in my decision is whether my family and I will have the emotional energy to run," he said. "Some might think that's not appropriate. Unless I can go to my party and the American people and say I'm able to devote my whole heart and my whole soul to this endeavor, it would not be appropriate." "Everybody talks about a lot of other factors," he continued. "Other people in the race, whether I can raise money and whether I can put together an organization. That's not the factor. The factor is can I do it. Can my family undertake what is an arduous commitment that we'd be proud to undertake in ordinary circumstances. The honest to God answer is I just don't know." He added that after losing his first wife and daughter in a car crash shortly after being elected to the Senate in 1972, he knows "there's no way to put a timetable" on the decision. However, many believe that he will make the final call this month, as the first Democratic presidential debate is on October 13.